Buying a condo? 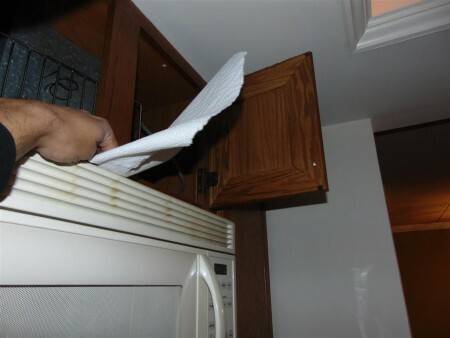 Get a home inspection, also known as a condo inspection. 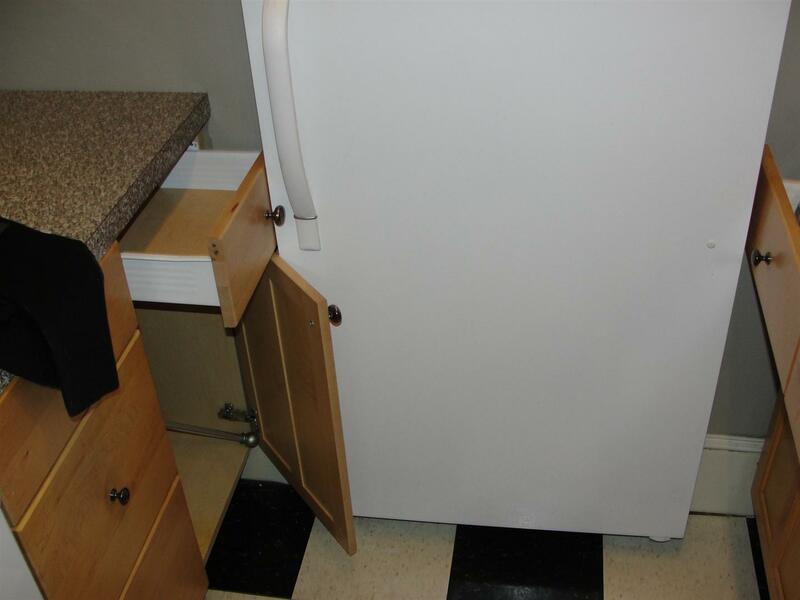 Even though there is typically less maintenance and responsibility of the individual owners, condos can still experience a lot of the same issues that single family homes experience. 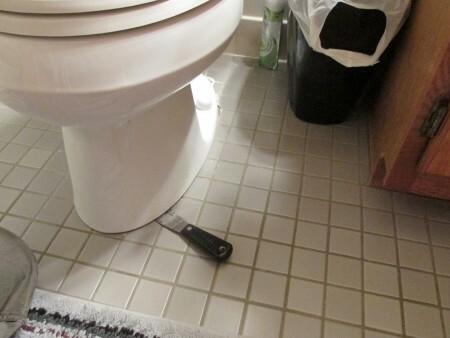 Instead of waxing on about the importance of having a home inspection when buying a condo, I've put together a compilation of stuff we've found while inspecting condos. Photos are just more fun. 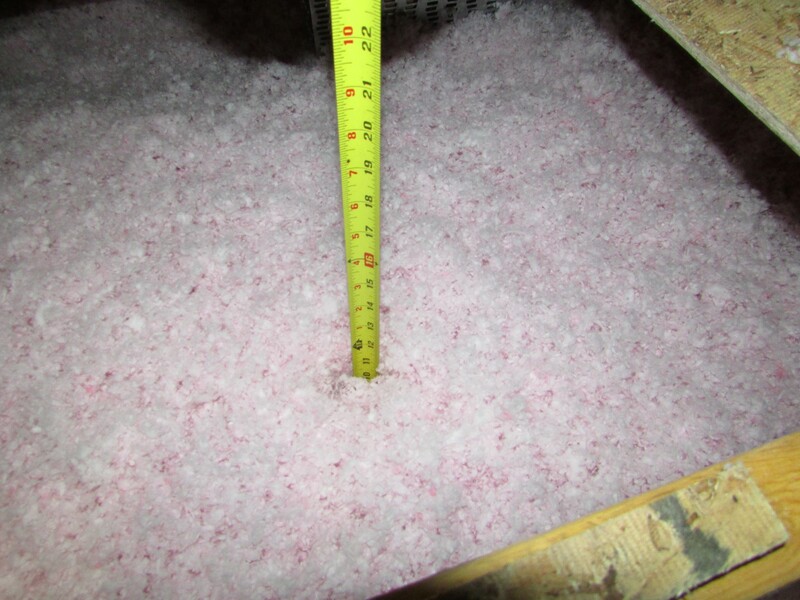 Insufficient insulation: If a condo has an attic, we inspect the attic. 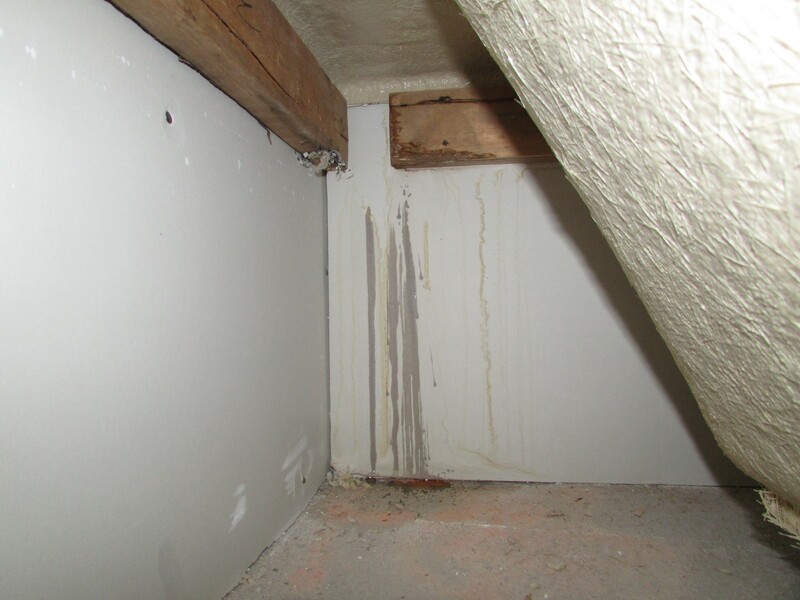 We find all the same defects in condo attics that we do in single family homes. More on attic defects here: Who inspected your attic? 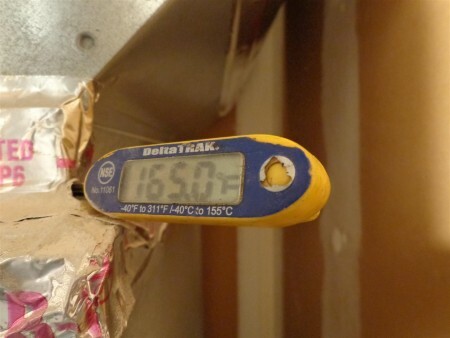 The photo below shows insufficient insulation at a new construction condo. Aluminum wiring: This is a major issue. It's not common, but it's a big deal when it happens. 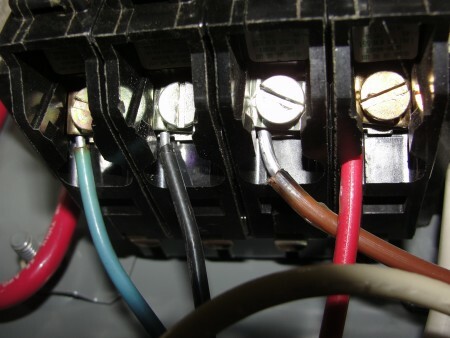 Condos built during the time that aluminum wiring was used (approximately 1965 - 1972), or re-wired during the same period may have aluminum wiring. This typically can't be identified without opening up the electrical panel. 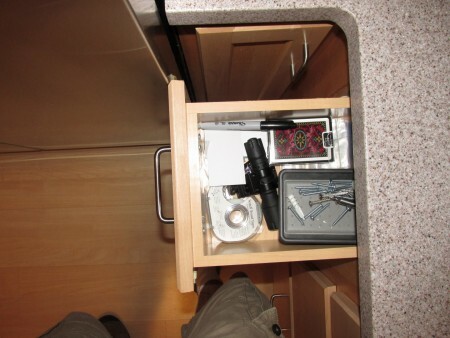 More on that topic here: aluminum wiring. Smoke alarms: They're not extremely expensive and it's not a life and death issue but ... no, wait, I take that back. It is a life and death issue. Smoke alarms save lives. When they're more than 10 years old, we recommend replacement. 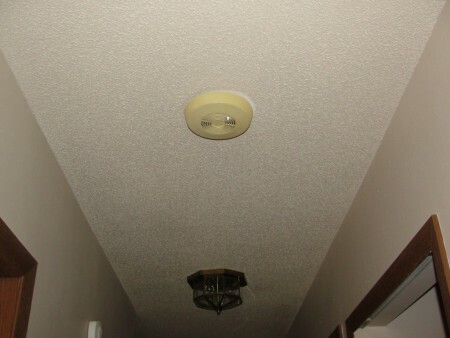 We also check for proper placement and recommend installing photoelectric smoke alarms when not present. Once they've turned yellow, they're typically over 10 years old. 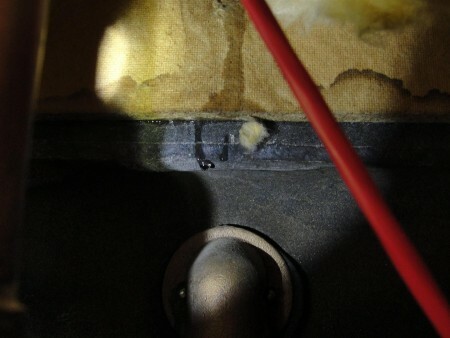 Wiring defects: The missing cover plate shown below is easy enough to correct, but do you see what else is wrong here? 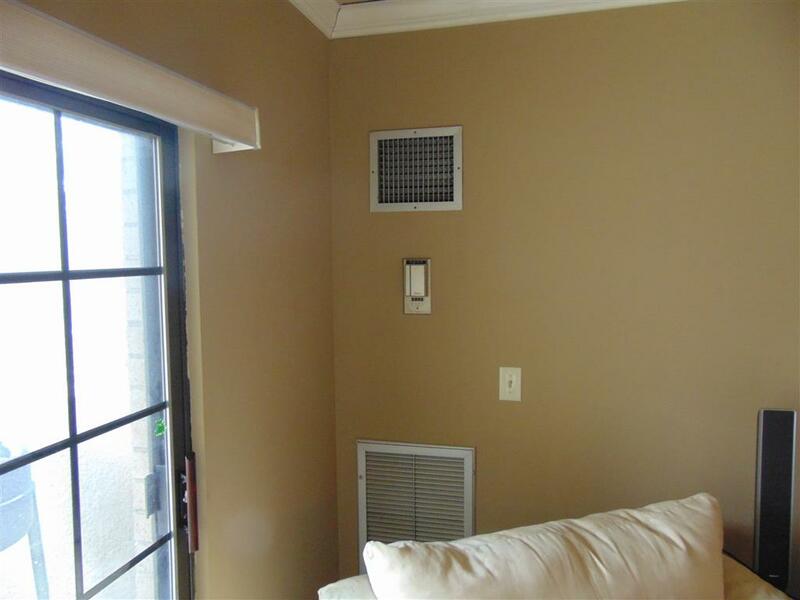 The outlet box is improperly recessed at the wall. The repair here is to have a box extender installed, also known as a "goof ring." 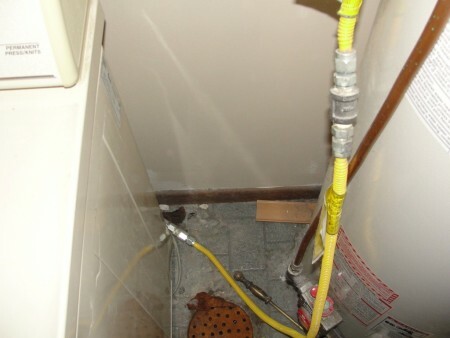 Disconnected conduit: The metal conduit isn't properly secured at the compressor below, which means the metal box of the compressor isn't bonded. This seems fairly innocuous, but if someone stepped on that whip, one of those wires could easily get cut by the metal at the air conditioner. If that happened, the entire cabinet of the air conditioner could be energized, creating an electrocution hazard. Extension cords: They get used at condos, too. This shows an extension cord behind a washer and dryer. 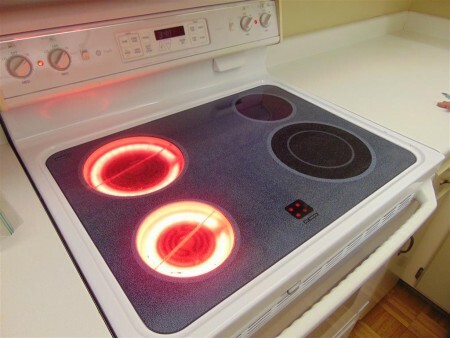 Permanently installed appliances should be plugged directly into outlets, not extension cords. FPE Stab-Lok panels: They're bad news, and they should be replaced. 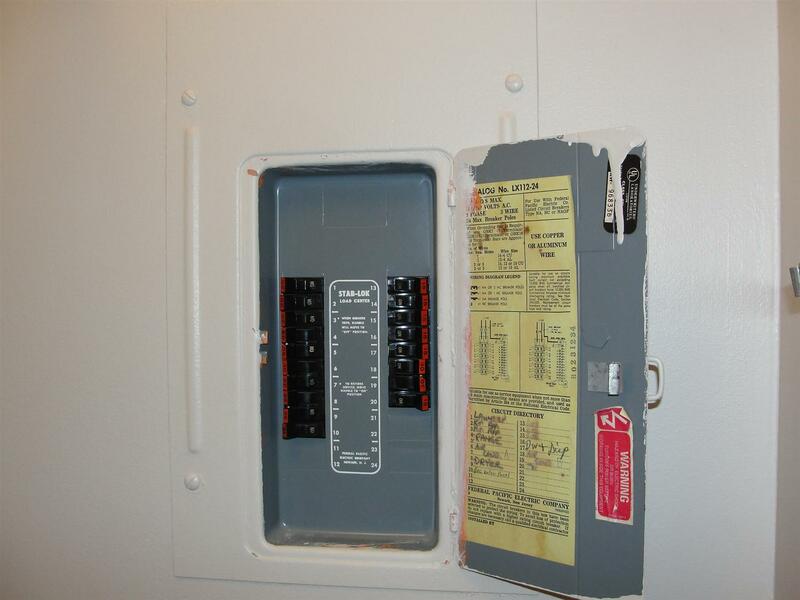 There are tons and tons of condo units with these panels. More on that topic here: FPE Stab-Lok panels are hazardous. 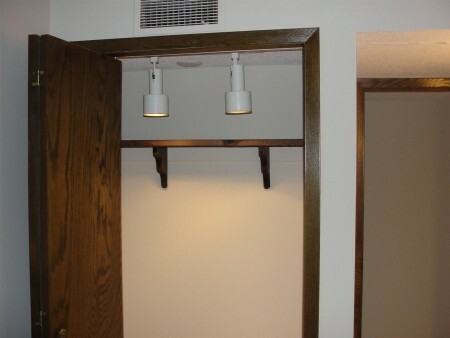 Closet lights: They need globes. More here: Exposed light bulbs in closets. 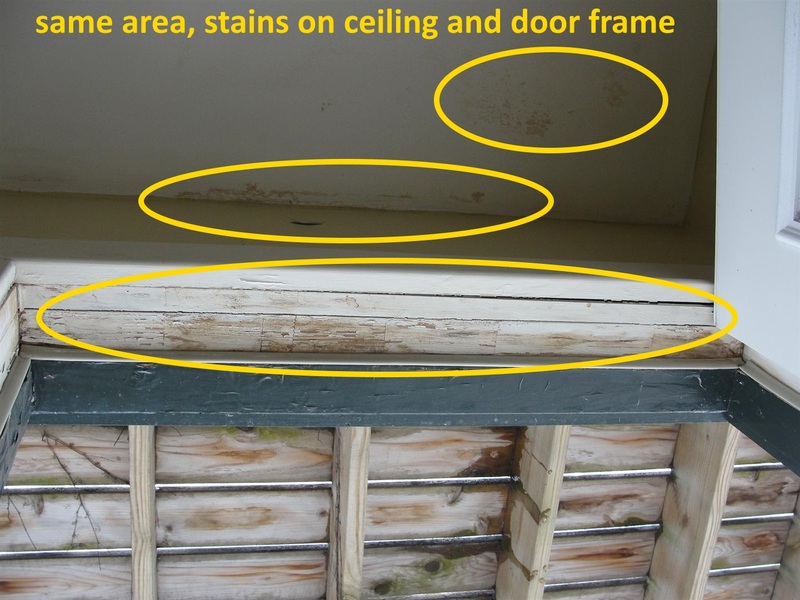 Water damage: While we typically don't inspect the exteriors and common areas of condos, we do typically look at individual balconies. At this particular balcony at an old condo in Minneapolis, there was damaged stucco at the balcony, allowing water to leak into the building wall. This next image shows the same condo, which had water stains at the ceiling and door below the balcony. 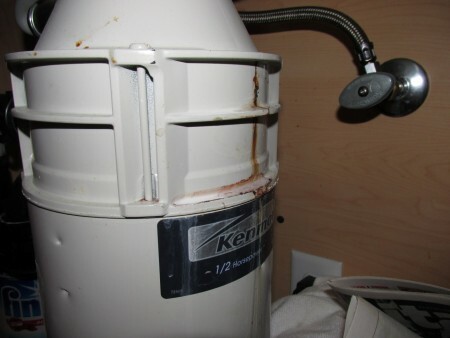 Furnace defects: We find pretty much the same defects on condos that we find on single family homes. 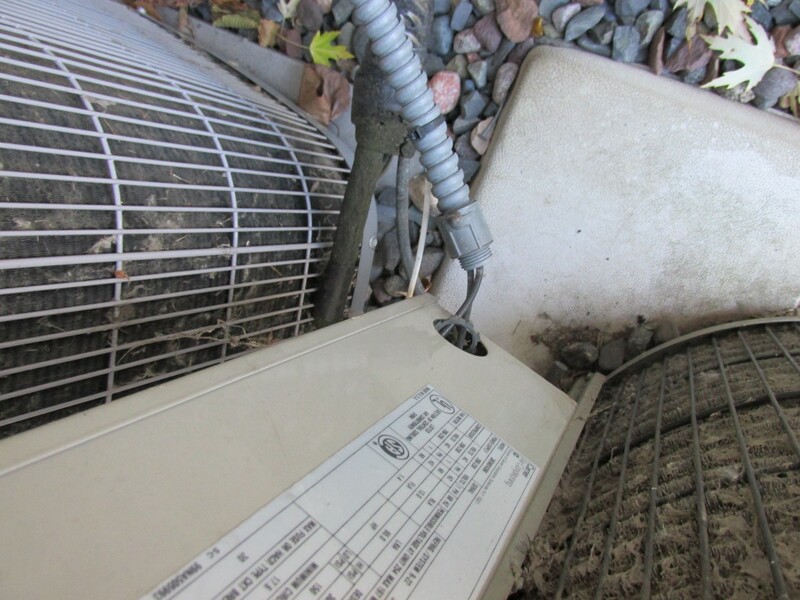 This includes lack of maintenance, end of life and other problems such as excessive temperature rise. The photo below shows the supply air at 165 degrees. Assuming it's about 70 degrees in the unit, this would be a temperature rise of 95 degrees. Most furnace manufacturers call for a temperature rise of somewhere in the 30 to 70-degree range. 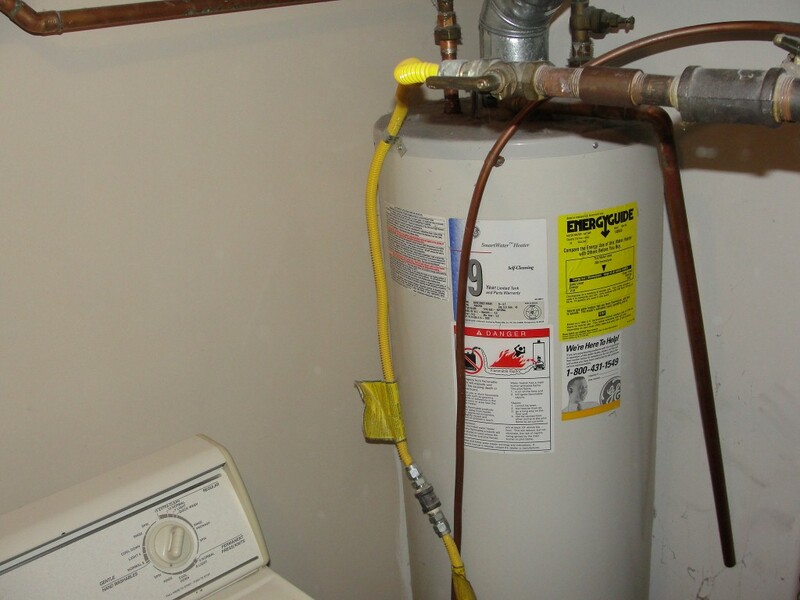 Water heater: The defects are also the same as those found on single family homes. 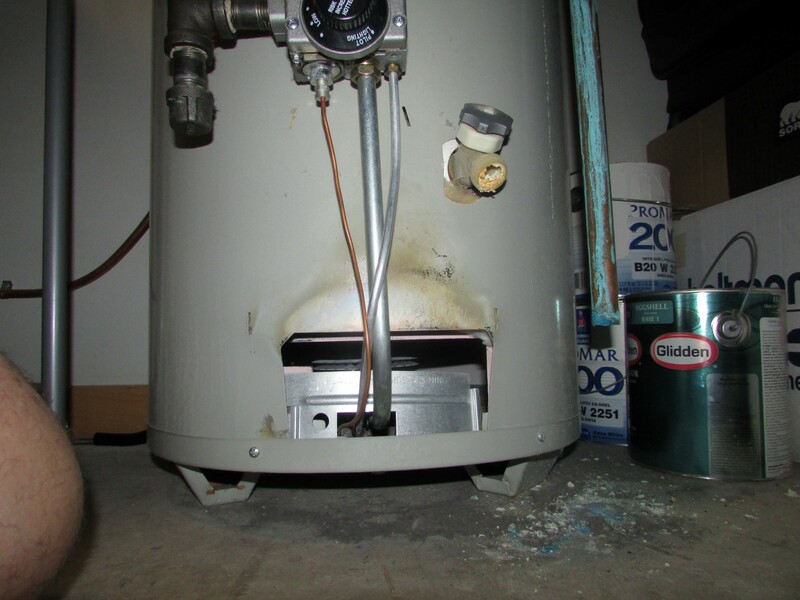 This particular water heater had a loose flame roll-out shield, which was allowing exhaust gasses to escape out the front of the water heater, which is what caused the scorching on the front of the unit. Plastic dryer ducts are a fire hazard. We find a fair number of them while inspecting condos. 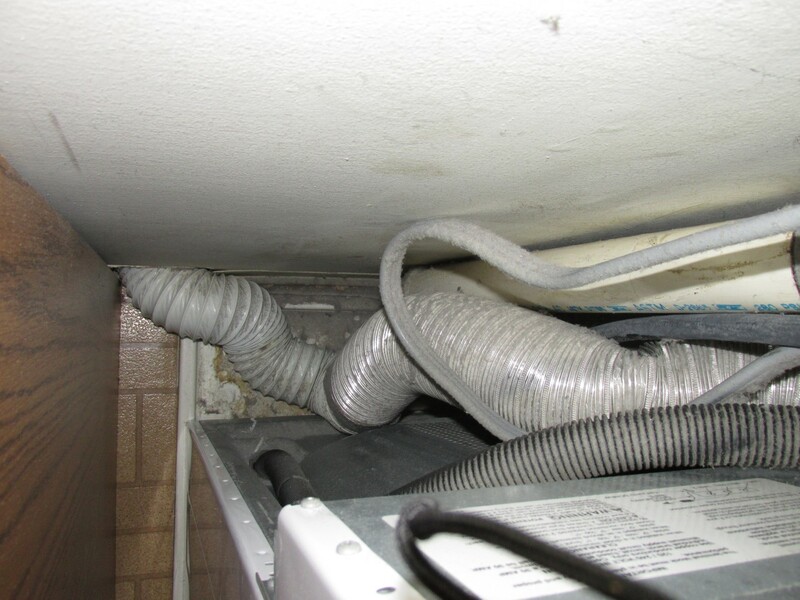 More here: dryer duct safety. 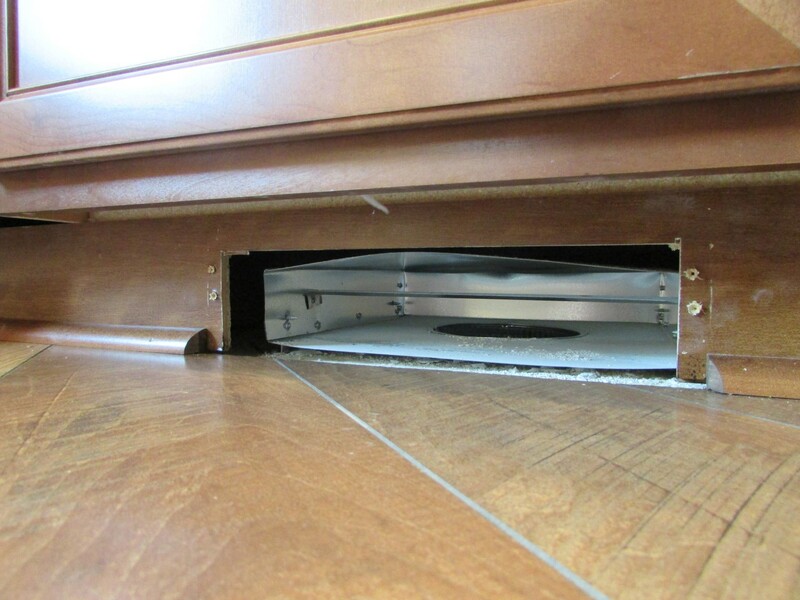 Short ductwork at toekicks happens at condos too. 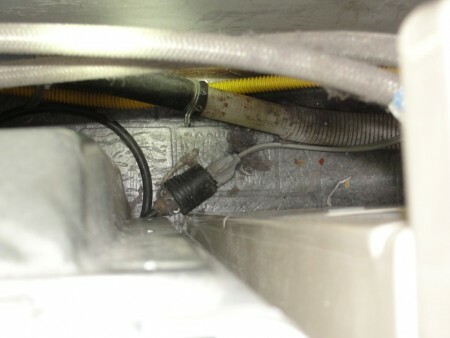 More on that topic here: The case of the duct that wasn't there. Anti-Tip Bracket - still in the bag. This is an important child safety item. More here: anti-tip brackets for ranges. 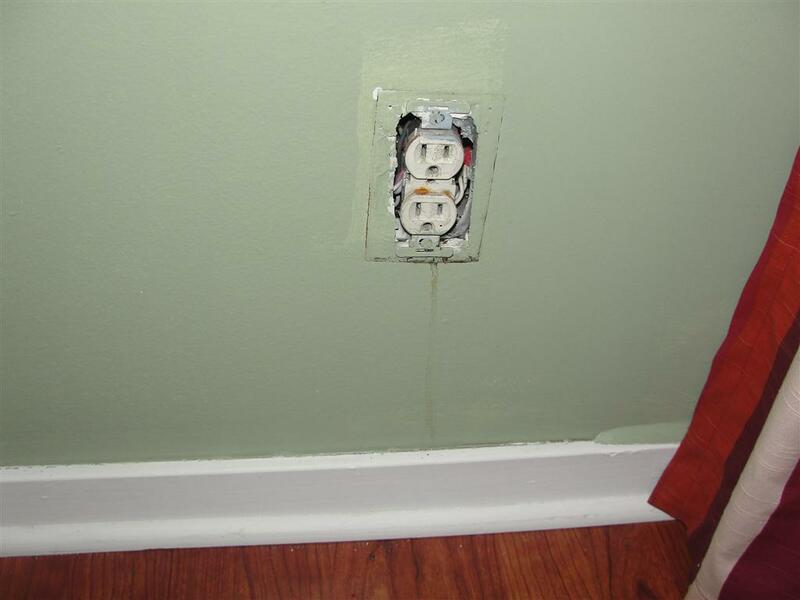 Leaking outlet - insert your own caption. 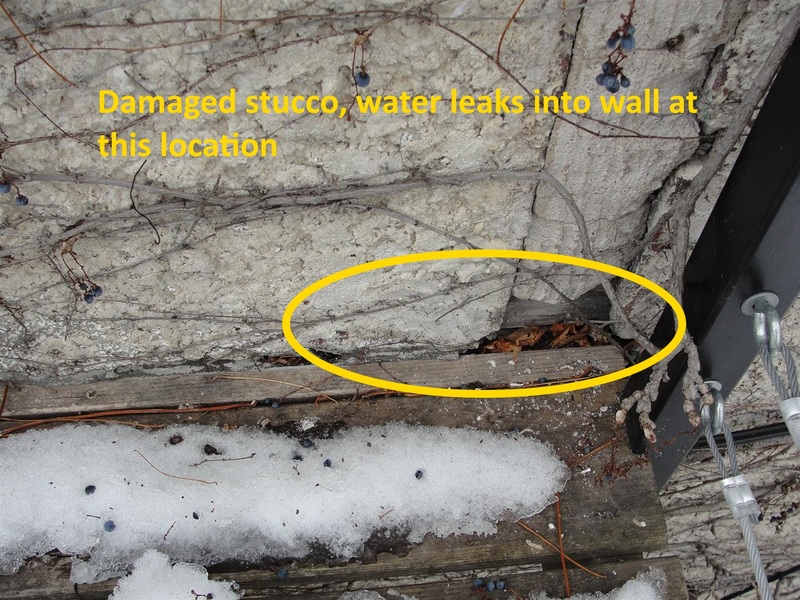 This was at a high-rise condo building with major stucco problems at the exterior. 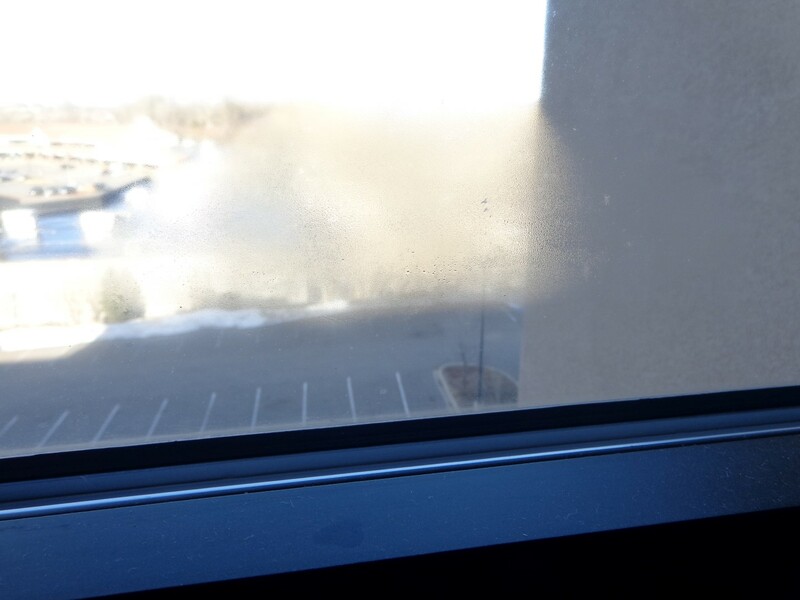 Fogged glass at windows - who pays for this, the owner or the association? If it's the association, what does it take to get this fixed? 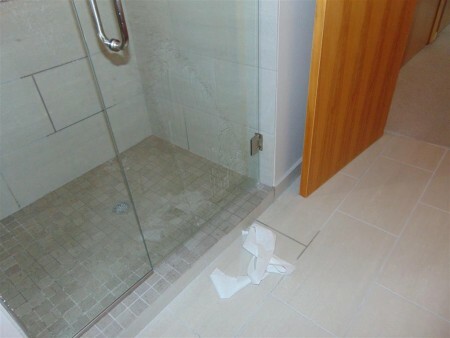 More here: fogged glass at windows. 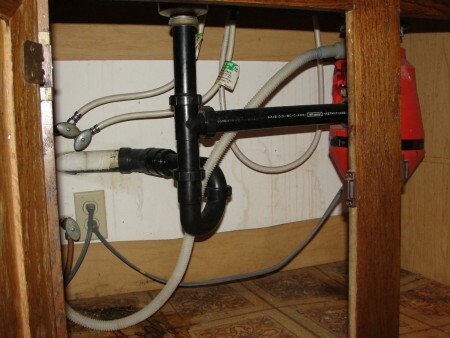 Dishwasher drain - this one lacks a proper high loop under the sink. If you go by the new plumbing code, it would be missing an air gap above the sink. More here: dishwasher drains. 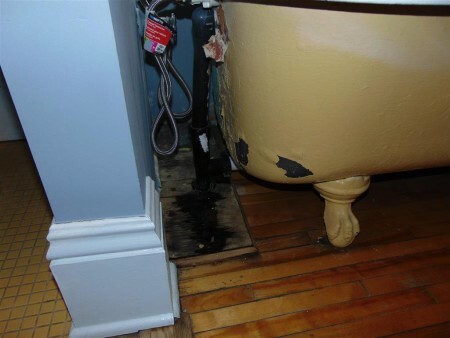 Rotted trim behind the tub. 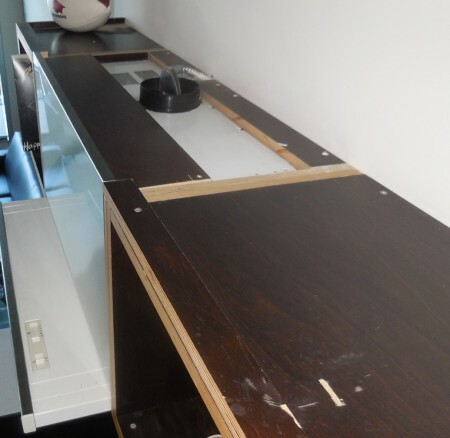 Possibly concealed damage behind the trim too. Gas appliance connectors aren't supposed to be connected end-to-end. 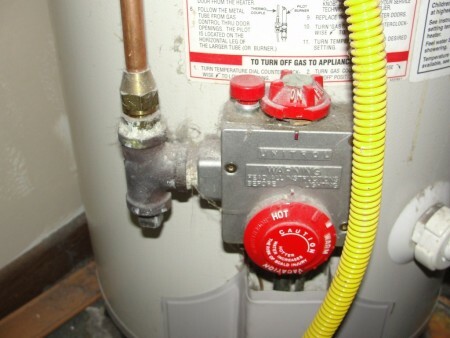 An appliance connector is supposed to be used to connect the gas piping to the appliance. 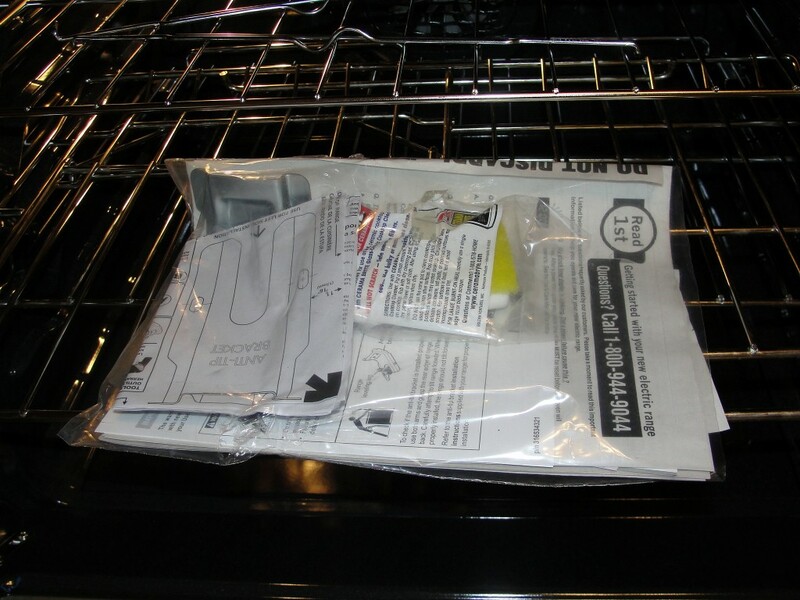 More here: gas appliance connectors. 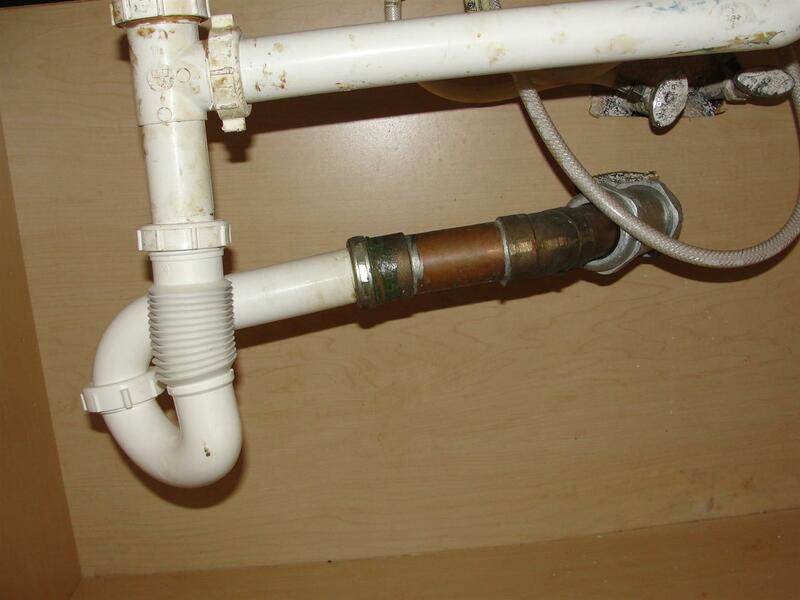 Corrugated drain, and a backpitched drain. Drains should slope down. 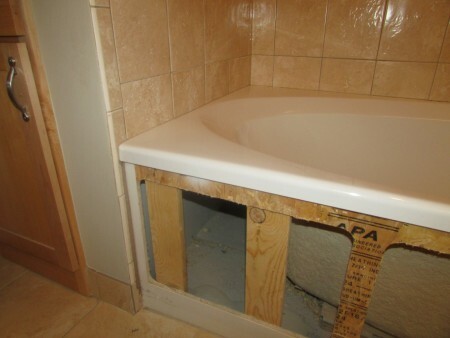 Drop-in tubs shouldn't be installed at walls. When that happens, they can leak. 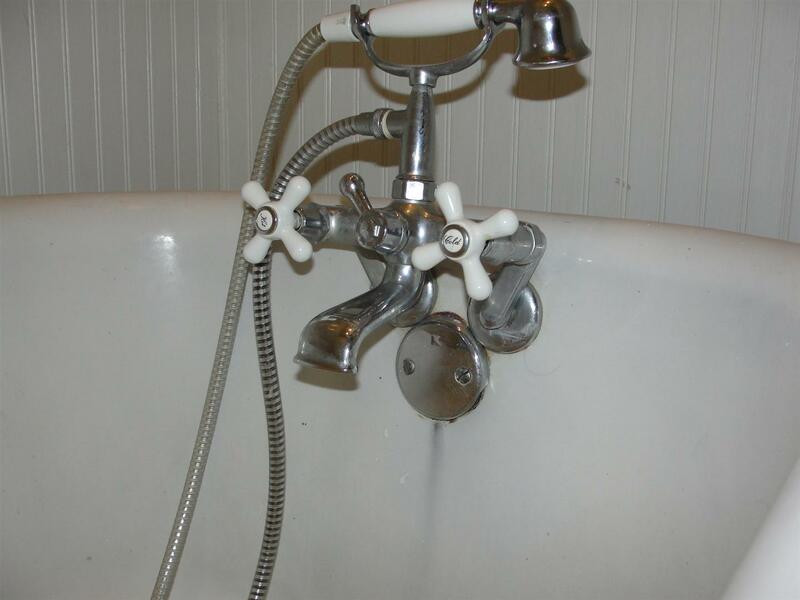 This same one leaked after being tested for a few seconds. Bath tub faucets that open below the spill line of the fixture create a cross-connection. More here: two ways to correct a cross-connection at a bath tub faucet. 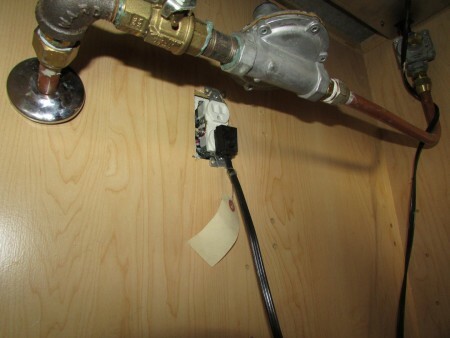 Loose trim and faucet - this will allow water to leak behind the wall. 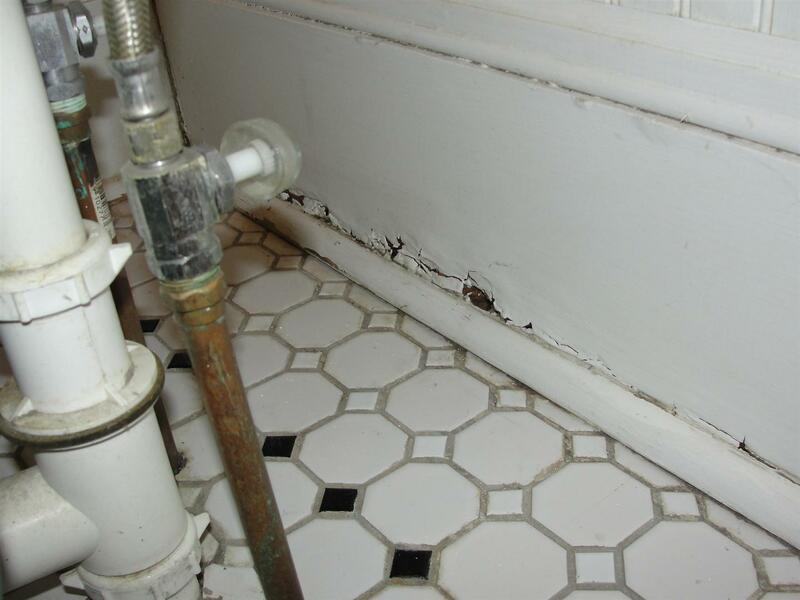 Toilets are supposed to be caulked at the floor. 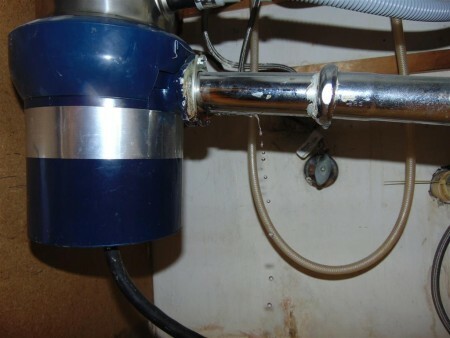 This helps to keep them secure and prevents unpleasant "bathroom liquids" from getting under the toilet to a concealed fouling area that can't be cleaned. Missing sediment trap at the gas line. More in last week's post on sediment traps. 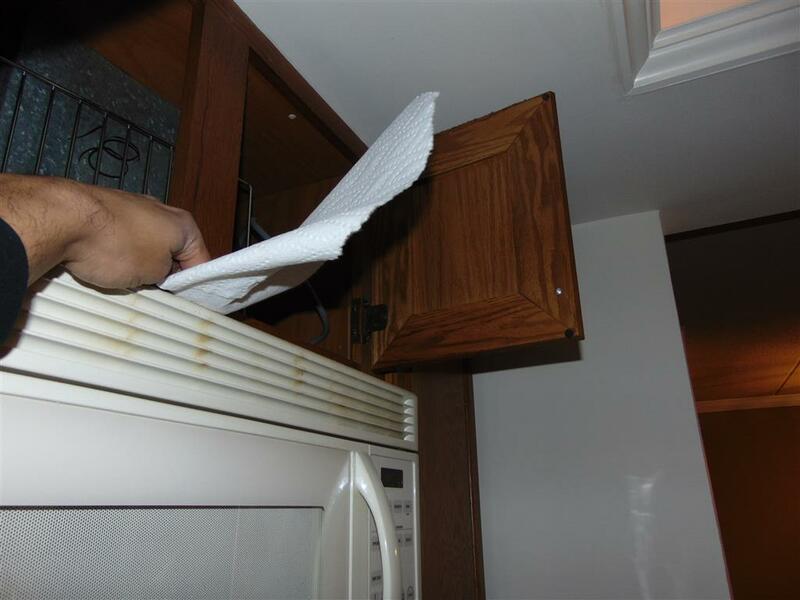 Hood fan exhaust surprise - while it's legal to exhaust kitchen fans back into the home, this one was a surprise because there was ductwork above the microwave, giving the impression that it was vented to the exterior. It wasn't. 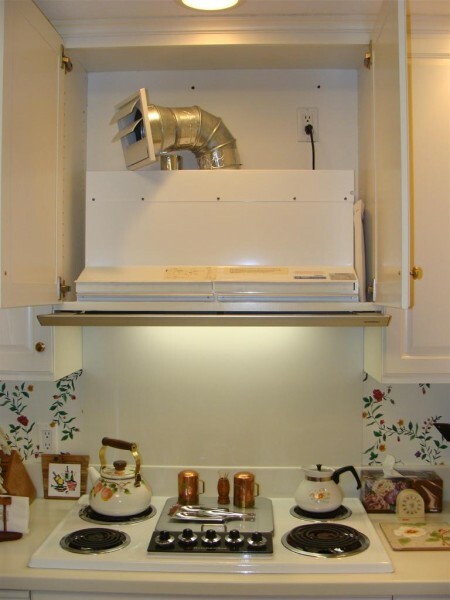 Here's another kitchen exhaust surprise: It just vented above the cabinet. Thank you for reading. 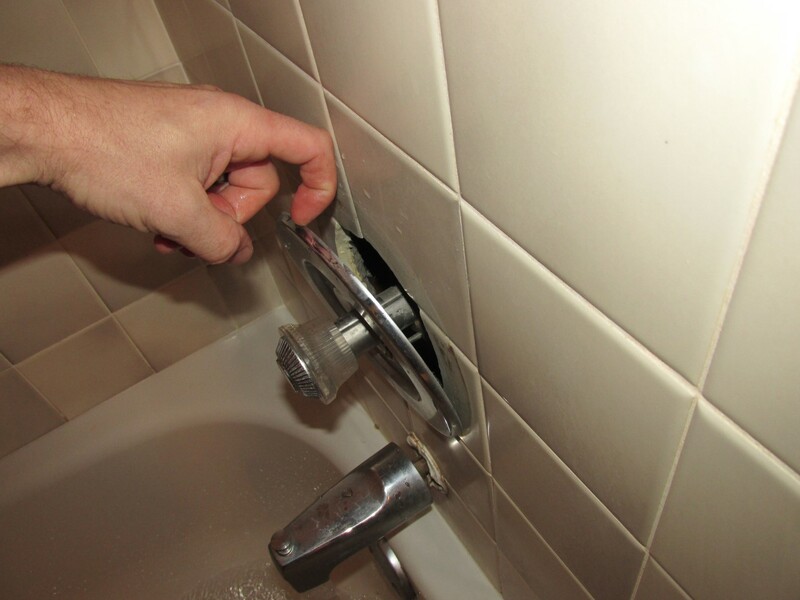 Again, if you're buying a condo, get a home inspection.